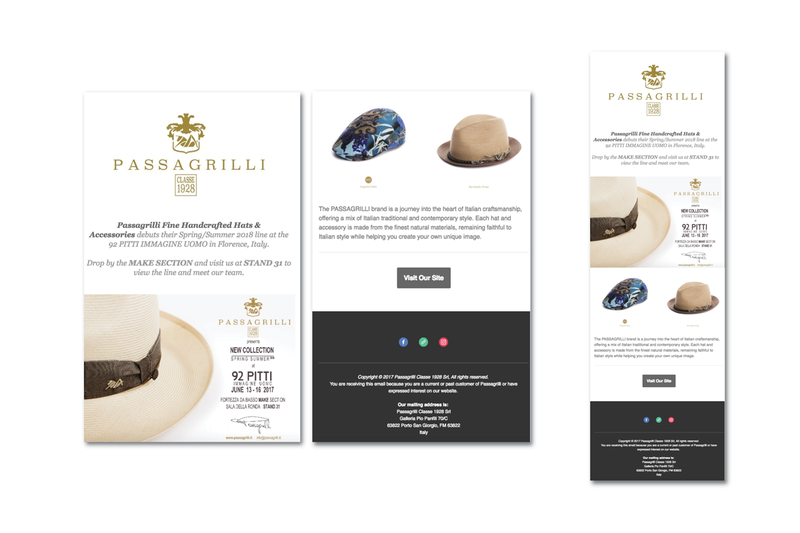 Example email from branded email marketing campaign. Mood Board for Instagram marketing campaign - August 2017 Example. Branded email header for email marketing campaign. 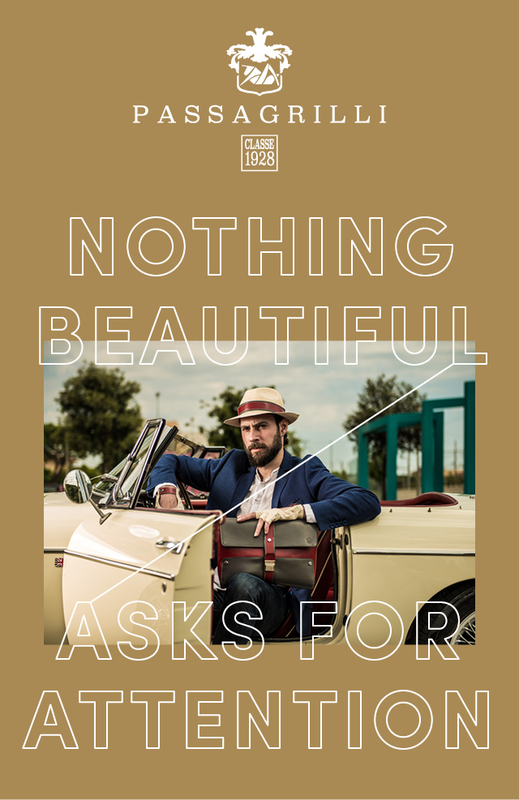 Branded Company History collateral created in English and Italian. Example of email blast for email marketing campaign to USA and Europe. Hello Giuseppe! 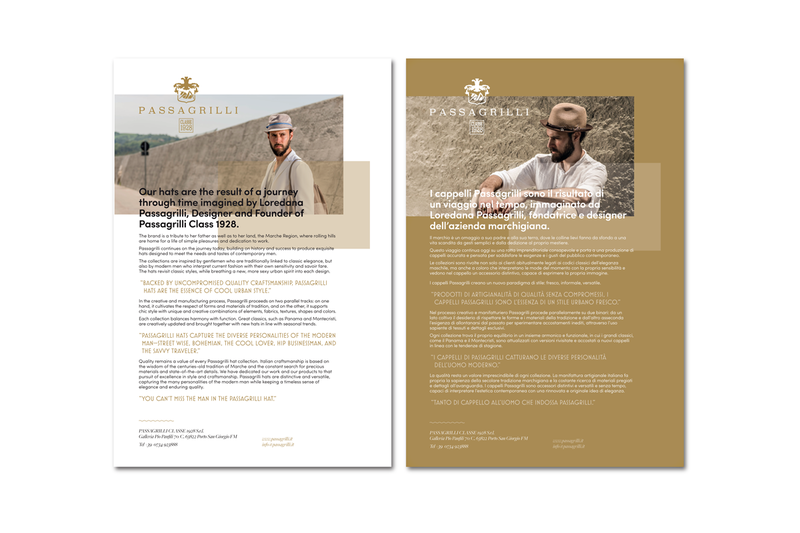 A fun take on the Panama Hat for the 2018 SS email campaign. 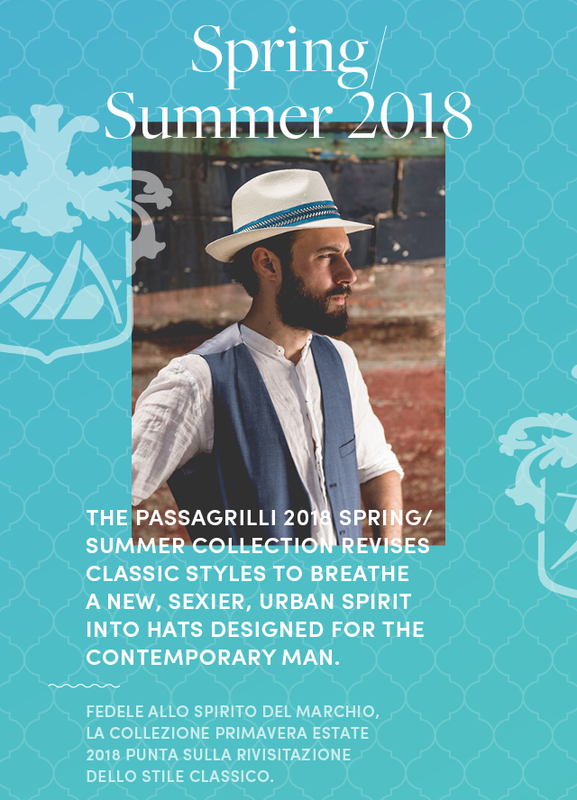 Branded 2018 Spring/Summer Collection collateral flyer, created in English with Italian subtext. Facebook cover image for Social Media marketing campaign.